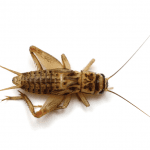 Cricket Removal Long Island | EcoTech Pest Control Inc. Crickets can be most annoying with their chirping, sounds can be quite frustrating. They can be right outside your window, keeping you up all night. Worse yet, they can get into your home from just about anywhere. They come out in the darkness and get into every crevice, making life miserable. Get rid of them, call EcoTech at (631) 887-3028 or (516) 226-0988 for fast relief and peace of mind. We provide a 100% Satisfaction Guarantee and Free Estimates.